Soup is one of my very favorite foods. I’m a big fan of broth soups as opposed to cream, but I like them all. 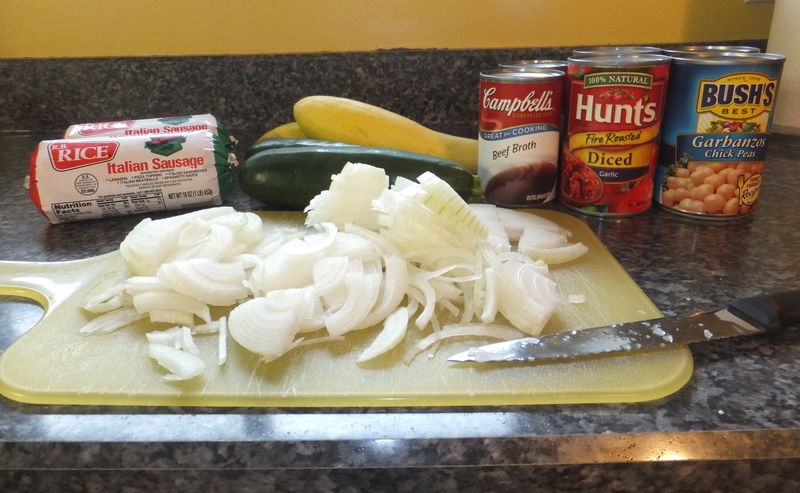 Considering this is my first soup recipe included on The St. Louis Cooks, I decided to start with this hearty family favorite. It is not a hand me down. This recipe is compliments of yours truly. 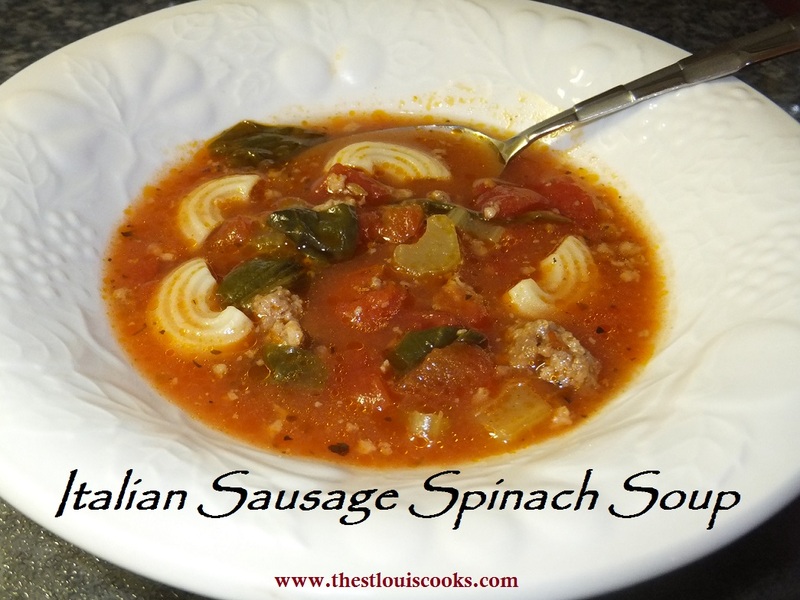 It combines some of my all time favorite things to eat…zucchini, tomatoes, and sausage. Plus my kids enjoy it. Serve it with salad, sandwiches or solo. Cook sausage and onion in a large pot over medium-high heat for 10-12 minutes, breaking up sausage, and until no longer pink; drain. Stir in remaining ingredients, breaking up tomatoes. Heat to a boiling; reduce heat to low. 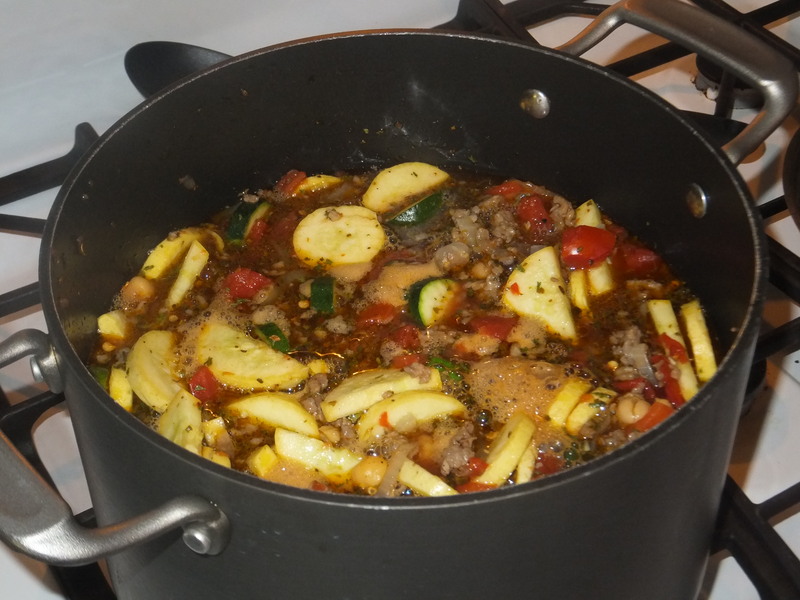 Cover and simmer about 10 minutes or until zucchini is tender. Sprinkle each serving with fresh Parmesan cheese and oyster crackers if desired.